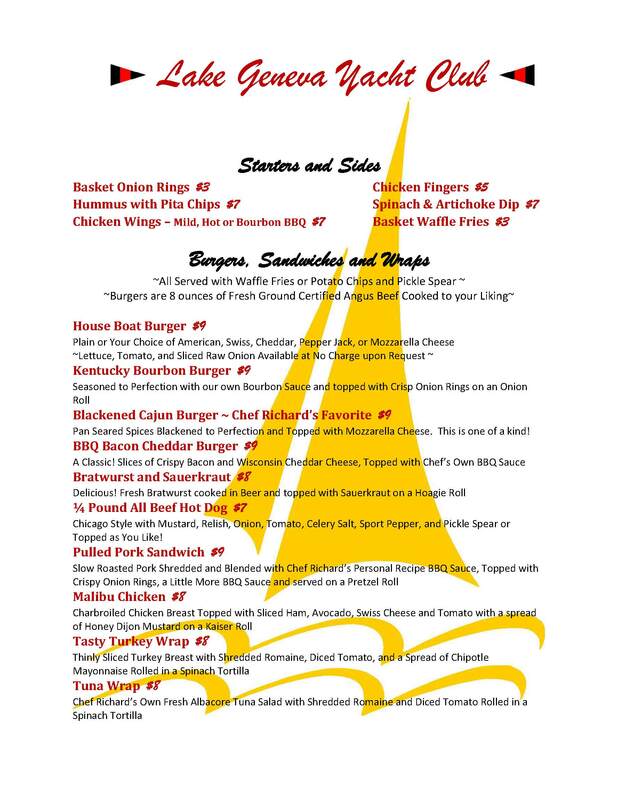 I would like to present the 2013 LGYC Menu. Our new Chef, Chef Richard Cerami, has come aboard and is excited to start the weekly dinner and lunch service. 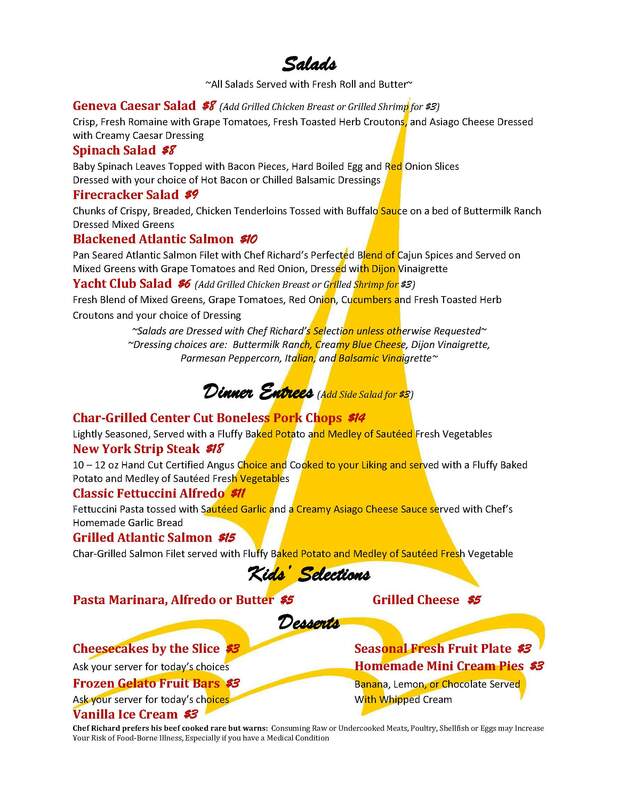 We will be changing the menu on a monthly basis with this menu being valid for the end of May and the month of June. We believe this menu has something for everyone, from a light snack to a hearty meal. Dinner service starts tomorrow Tuesday May 14th, 2013 with dinner being served nightly Tuesday, Wednesday, Friday, from 5:00 pm-9:00 pm. Lunch service will start 7 days a week on Saturday May 25th, 2013. I am happy to announce that lunch will be served on the upper deck 7 days a week. The GLSS will be using the lower level for the childrens lunches Monday-Friday.